FREE Lowe's Build and Grow Clinic On April 11! You are here: Home / FREEbies / FREE Lowe’s Build and Grow Clinic On April 11! FREE Lowe’s Build and Grow Clinic On April 11! Mark your calendars for a fun event at Lowe’s – on March 14, head to your local store for the FREE Lowe’s Build & Grow Clinic! 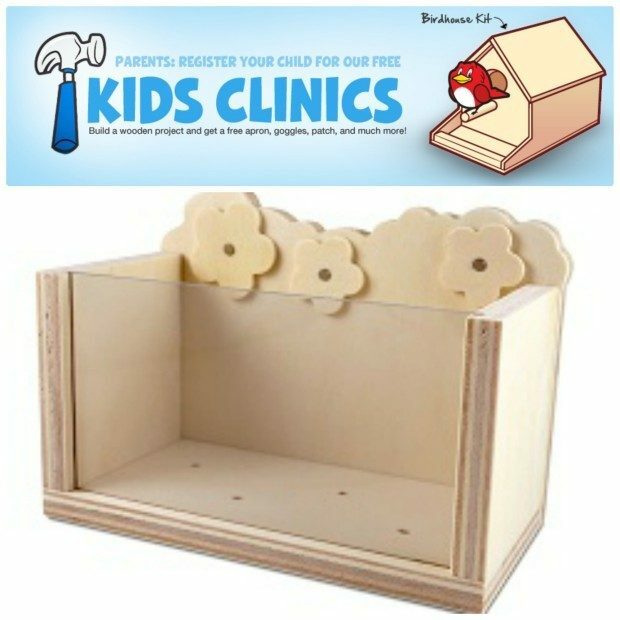 Kids will be able to make a See-It-Grow planter! Hi! I work supporting adults with developmental disabilities in daily tasks and fun meaningful community agendas. We would love to be able to build a few of these kits. Please let me know if it is possible for me to come to your store and obtain a few of these kits to build with my individuals at their pace in our building. Thank you very much. We also love the idea of an apron and one patch for each different kit you offer us so we can hang the apron on the wall and add the patches as we complete the projects.